Over the past year or two, the Atlanta rapper Gunna has proven himself a worthy Young Thug protege. Both Drip Harder, the collaborative album that Gunna and Lil Baby released last year, and Drip Or Drown 2, the solo project that Gunna released last month, are compulsively listenable affairs. They’re heady, atmospheric records, with Gunna doing slippery melodies over fuzzy, hypnotic tracks. And now Gunna is making guest appearances on just about every high-profile rap album. So Gunna is well on his way to stardom. But if he’s going to get there, he’s going to have to master things like the televised performance. Last night, Gunna tried. 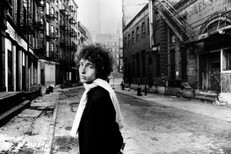 He was the musical guest on Jimmy Kimmel Live, and he performed “Big Shot,” a Drip Or Drown 2 track where he raps over a murky, detuned guitar loop. And he did what he could to make the performance stand out. He wore very, very glittery clothes. And he went in heavy on some extremely silly CGI effects. With a few big LCD screens, Gunna made the Kimmel stage look like a studio. He rapped on a neon couch, with a sound panel and a wall of neon lights behind him. But then weird things start happening. Supremely fake-looking things slowly orbit through the air: A guitar, a bottle, a bunch of bands of money. 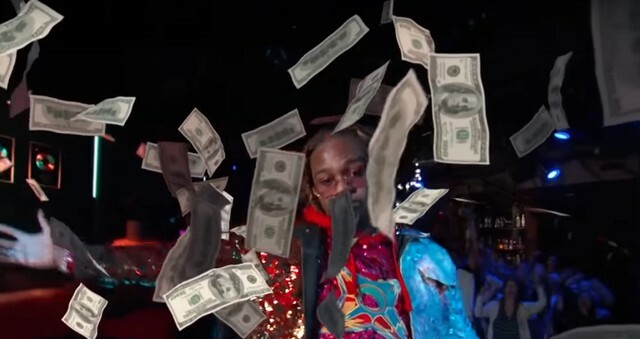 And at the performance’s climactic moment, Gunna throws fake money at the camera, and it slowly drifts down. It’s pretty ridiculous! Watch it all happen below. Drip Or Drown 2 is out now on 300 Entertainment.